Are You Curious About Raw Cat Food? If you are feeding your cat raw food there are things you definitely need to be aware of. This article below explains the basics. This is NOT the Best Food For Cats! Rawhide is nasty and can swell up internally and cause blockages. With the number of pet owners turning to feeding more natural diets to their cats and dogs, these days there are plenty of places that you can purchase pre-prepared raw food products. The problem is that manufacturers often treat cats as small dogs and prepare their raw cat food exactly the same for both species. When in fact – cats are unique and have extremely specific feline dietary requirements that are not met when feeding them foods designed for dogs. When purchasing a commercially prepared raw food product – you need to make sure it is nutritious and a species appropriate diet for your cat. If you are going to buy raw food for your cat already pre-made, below are some essential pointers. Cats require a rather narrow range of calcium to phosphorus ratio in their diet. The best range for cats is 1.2 – 1.4:1. The calcium comes from bones and the phosphorous comes from the muscle meat and the organs. Different types of meat from different animals will have varying calcium to phosphorous ratios. An imbalance of Calcium and Phosphorous can cause a serious health problems in cats, so, when you are buying pre-made raw diets – it is essential the food has the correct ratio of calcium and phosphorous for cats. This information should be readily available on the manufacturers website or at least on the packaging. If you cannot find this information, you should contact the manufacturer to ascertain the ratios in their products. Make sure you are buying food that has around 10% organ meat in it. heart, liver and kidneys etc., are a vital source of nutrients for cats and should be a regular part of their diet. Cats have a high dietary requirement for the essential amino acid Taurine and being unable to synthesize it themselves it MUST be provided in their food constantly. A cat’s natural prey animal – mice – are naturally very high in Taurine, while other meats such as rabbit have a dangerously low level of Taurine. Muscle meat that is “used” (meaning exercised) is higher in Taurine than that which is not used as much. To explain this a little better – the thigh of a chicken that is exercised constantly will contain a lot more Taurine than the breast meat that is not exercised as much. Processing of meat, freezing, handling and age, causes a depletion of Taurine. Taurine deficiency causes serious problems including blindness and heart problems. Deficiency can happen very quickly and can be fatal. Some believe that vegetables are a reasonable addition to a feline diet, and this is probably true – as long as it is only a very small percentage. Three to five percent would be acceptable. However, cats are NOT designed to eat – nor have the necessary digestive setup to process vegetable matter. If you are able to buy your cat raw food without it – then all the better. At an absolute maximum, your cat’s food should have no more than 10% vegetables. Again, if there is no clear indicator of the amount of vegetable in the food, you should contact the manufacturer. Onions and garlic are common inclusions in dog food (they should not be!) and you will need to make very sure they are not included in the raw food your are feeding your cat. This family of vegetables is called Allium, and they are very toxic to cats and can cause Heinz Body Anemia – which destroys red blood cells. Onions and garlic should never, ever be consumes by felines. Tomatoes may exacerbate arthritis and most vegetables will lift the cats urinary pH which can cause urinary tract problems – which are nowadays a massive problem. Now you know why! Herbs are often added to pre-made raw food for pets, but although they sound enticing to people – herbs should not be fed to cats – especially not long-term. It is usually safer and easier to make your cat food at home – yourself! Use real food, mix it up with plenty of variety and you will be doing a lot better than buying expensive commercial foods. There is now a fantastic range of RAW cat food on the market – freeze dried. How is that for convenience! Although fresh is always best, it is very handy to have something in the cupboard for when you run out – or for times when you just don’t have …. well time! These products also makes the handling part of feeding a raw diet to your cat easy to start off with – especially the organ part! 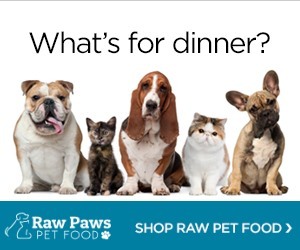 Take a look at some of the product line here – I think they are pretty awesome and hope to see a lot more of this type of raw product available as choices for our cats. Hello there, I just wanted to say that I really love your blog and find a lot of your article’s to be exactly I need to know. Again, awesome site and please keep it up! We need more cat blogs like yours. Great post, I’ve shared it on my facebook profile. Thanks a lot for sharing this with all of us you really recognise what you’re talking about, this raw food for cats! Bookmarked and face booked too.